From the authors of the best selling Nonprofit Sustainability: Making Strategic Decisions for Financial Vitality, authors Jeanne Bell and Steve Zimmerman present a field guide to the matrix map—a powerful tool for nonprofit strategic decision-making. Nonprofit sustainability lies at the intersection of exceptional impact and financial viability. The Sustainability Mindset offers nonprofit professionals and board members a step-by-step guide to move your organization towards this intersection. 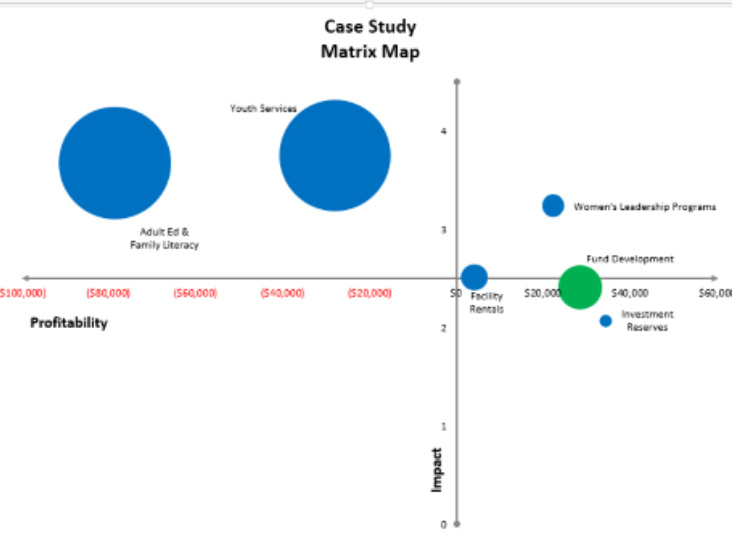 The matrix map is an accessible framework that combines financial and programmatic goals into an integrated strategy. In this next-step resource, the authors detail a rigorous process to develop a meaningful matrix map and engage leadership in setting an organization's strategy. Our intent is that you can use this guide to self-administer the matrix map. The following links provide all of the templates that are available in the book, including sample meeting agendas and templates for key moments in the matrix map process. Jeanne Bell, MNA, is the CEO of CompassPoint Nonprofit Services, one of the country's leading providers of leadership and organizational development services to nonprofit organizations, based in the San Francisco Bay Area with a national presence. Steve Zimmerman, CPA, MBA, is the Principal of Spectrum Nonprofit Services, a national nonprofit consulting firm based in Milwaukee, Wisconsin. Spectrum partners with community -based organizations to achieve maximum impact through nimble and sustainable strategies. Learn more about what we do with CompassPoint and Spectrum by visiting our websites at the links below.